Holly Auto Repair | Armstead Automotive Repair and Service Inc. - Armstead Automotive Repair and Service Inc.
No surprises on your bill. All prices must be approved by you before any work is done. 24/24 nationwide warranty and 36/36 in-house warranty on parts and labor. Work done right the first time, on time. Quality – ASE Certified Master Technicians. On-site owner you can talk to. Honesty – do only the work necessary. I've been going to Armstead Automotive for 4 years now and have had nothing but excellent experiences. The technicians are knowledgable, the service writers are helpful and the management is just excellent. I'd recommend them to literally anyone. Armstead Automotive is a wonderful, honest auto repair company. I've had the very best service there. The staff is terrific, they really know their business and helped me in so many ways! My funds were limited, and Armstead helped me prioritize what repairs needed to be done in order of safety!! I love their staff and have recommended family and friends to experience the care that I've received there. My family has had the same priceless experience I did!! What better recommendation can one give?! Highest level of integrity one can find in auto repair - I highly recommend giving them a try! 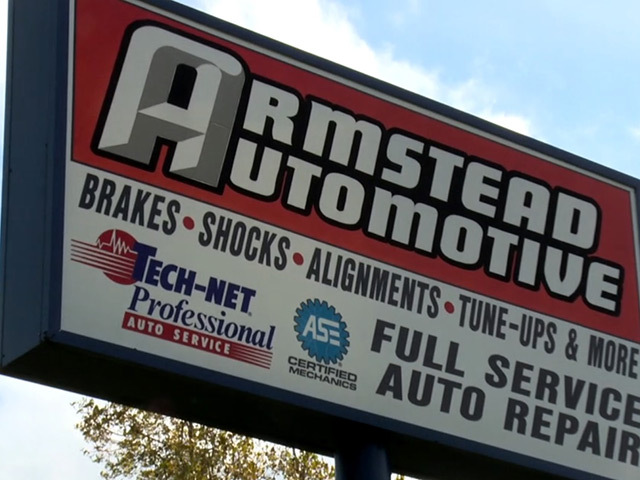 Armstead Automotive has been performing quality Full-Service auto repair for over 30 years. We believe that satisfying our customers and exceeding your expectations is our first priority. Let us help you stay safe, and keep your vehicle running longer. Our workmanship and parts are guaranteed for 36 month or 36,000 mile, whichever comes first. This is a in house warranty, meaning repairs have to be performed in our shop. We also have 24 month or 24,000 mile nationwide warranty. Armstead Automotive Fleet Services can save you money because proper fleet maintenance and repair reduces expensive down time. Lost time becomes lost income and lost profitability. At Armstead Automotive Repair of Holly, our auto repair technicians have been impressing our customers with great service for many years. As the go-to auto repair shop in the Holly area, our auto mechanics are trained to repair vehicles of many makes and models. In a town the size of Holly, everyone knows everyone else, so a business’ reputation means everything. Our shop is a family-run business, with John and Belinda Armstead at the helm. We have fostered a friendly environment where we listen to the people who come in, who also become part of the family. Daughter Christina does our marketing. Ben is our manager and is a ASE certified Master tech. Jonny is Master ASE certified and mechanically inclined, with many other certifications. Jessica is our office manager and a QuickBooks guru. Armstead Automotive Repair is a family-owned-and-operated business and we stand behind our work. If we’ve worked on your car, you can trust that the work is solid. We run diagnostics on your car so we work hard to properly diagnose the problem. We like to Diagnose first and repair second, Just like woodworking, measure twice and cut once. If you repair first then go back to diagnostics then you are wasting time and money, because we keep a large database of repairs on all vehicles. We check history before repairs, so if its under any warranty we just get it done. We want you to know what’s going on under the hood and explain our strategy before we do anything. We have a 3-year/36,000-mile in-house warranty, as well as a 2-year/24,000-mile nationwide warranty. In other words, if you have a problem and can get your vehicle back to us, we’ll cover it with a 3-year/36,000-mile warranty. The boys (Jonny and Ben) are naturally gifted at diagnostics, especially diesels. They’re ASE-Certified. Jonny has L1 and L2 certifications and Ben has his L1 certification. Jonny is Master ASE-Certified and can do school buses, too. We have all kinds of skills that other shops do not. In addition, we have the customer service that other shops don’t have. We have generations of customers who’ve been coming to us for years. Now their kids and grandkids are coming in, too. Holly is a small town. We also welcome in people we don’t know (yet!). We look forward to serving everyone in our community, from the old timers to the millennials to people who’ve just moved here. “I feel you are always honest about the work that needs to be done. Picture of leak before work was done and diagram of alignment before and after helped understand what was going on with my car. Great guys working there Best place to go for Auto repair.” -- Ann H.
Our top-rated technicians at Armstead Automotive Repair would love to help you with your vehicle’s maintenance and repairs. 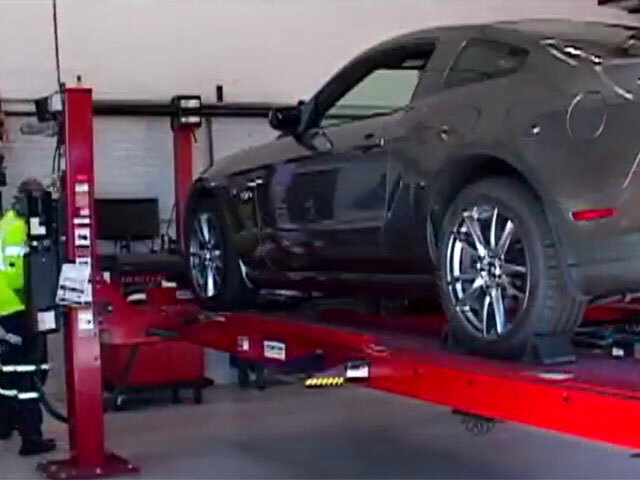 Schedule an appointment today so that our friendly, knowledgeable staff can get to work on your car. We treat our customers like family, and we want you to join us. We are located at 15310 Fish Lake Road, Holly, MI 48442. Our hours are 8:00 AM - 5:30 PM, Monday - Friday. Leave us a review, print your review receipt and bring it in for a discount on your next automotive service.